HUNTER ARMY AIRFIELD, Ga. - Soldiers from the 258th Movement Control Team, 3rd Infantry Division Sustainment Brigade, toured the Port of Brunswick facility Nov. 21 in Brunswick, Georgia to learn the process of port operations. "Part of our main mission as an MCT is port operations, so we wanted to come here because we haven't done any sea port operations," said Capt. Sarah Leive, commander of the 258th MCT, 3rd Infantry Division. 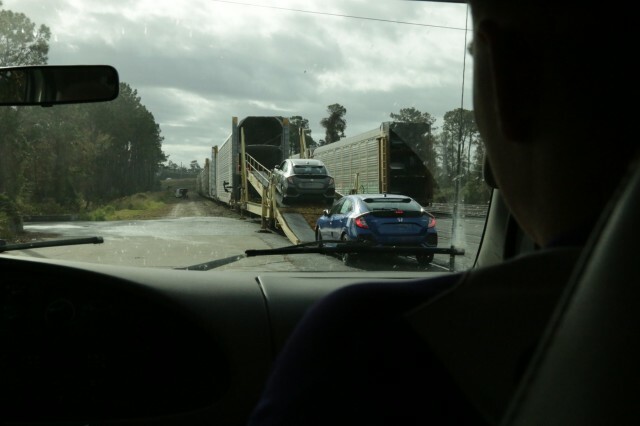 The job of a transportation management coordinator, or the 88N military occupation specialty, involves movement between air, rail, sea and highway, said 2nd Lt. Evan Farlow, a 258th MCT Soldier who coordinated the training. The opportunity for the Soldiers to tour a sea port operations facility provided them the view of a different side of what they do. "Knowing that a lot of them haven't seen sea port operations was one of the main driving forces for us coming down here to do this tour," Farlow said. "A lot of them just see highway, rail or air because of where we're located on either Hunter Army Airfield or Fort Stewart, Georgia. For them to see a different side of what they do is always beneficial." The Soldiers are limited to highway, rail and air because there are no ports on post. The tour provided a different perspective for the Soldiers just outside of their duty stations. 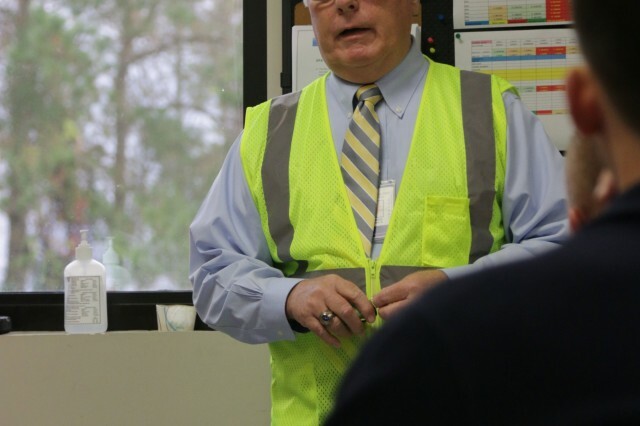 The Port of Brunswick is comprised of three Georgia Ports Authority owned deep-water terminals, two of which are directly operated by the GPA, said Bill Dawson, general manager of operations for the Brunswick and barge facilities. 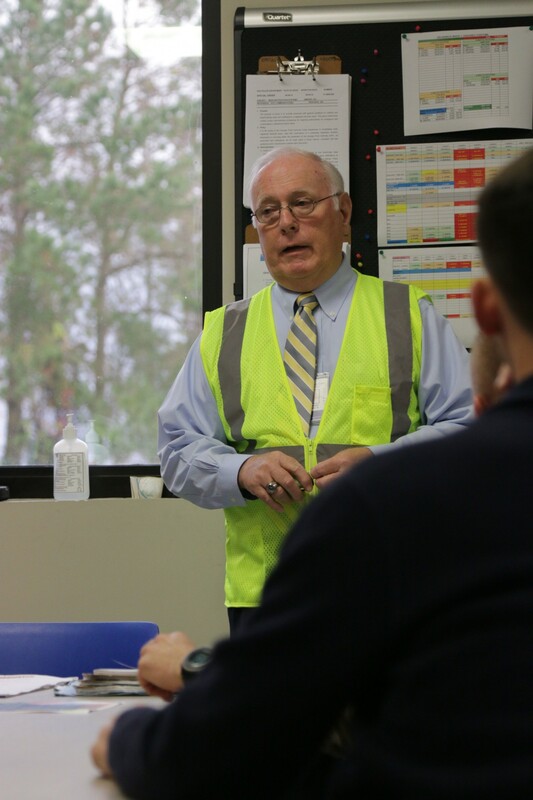 The port is the number two automobile port in the United States, he said, with about 18 different auto manufacturers, supported by three auto processors, utilizing the Port of Brunswick Colonel's Island Terminal. Dawson called the car ships, which come into the port, "floating shoeboxes," carrying anywhere between 5,000 to 8,000 cars. As part of the tour, Soldiers toured the facility of vehicles that had come in and vehicles scheduled to go out as well as the $20 million upgrades to the facility for more parking spots for more cars. Dawson said the port recently pulled out of the grain business due to the more than $200 million in damages experienced from hurricanes Matthew in 2016 and Irma in 2017. Spc. 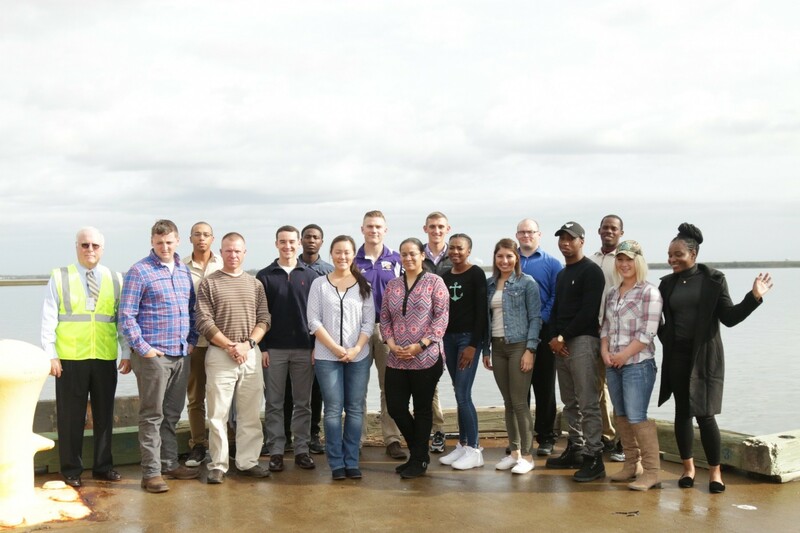 Tyler Baker, 258th MCT, said he learned valuable information about the port during Dawson's opening brief detailing the history and day-to-day operations information of the port. He said there is value in understanding moving parts and behind-the-scene operations, not only for those whose job it is in the military but those that are affected by them. "I think it is important to get (Soldiers) to know the entire perspective of what logistics is," Baker said. "A lot of people don't know how important logistics really is and how important we (88N) are in the fight. Nothing happens until something moves." The unit is hoping to begin training at the port to provide more familiarity to the Soldiers of the sea aspect of their military occupation.